Jan. 28, 2015, 4:07 p.m.
By putting mobile-native news adjacent to messages from friends, Snapchat could be helping create part of the low-friction news experience many want and need. 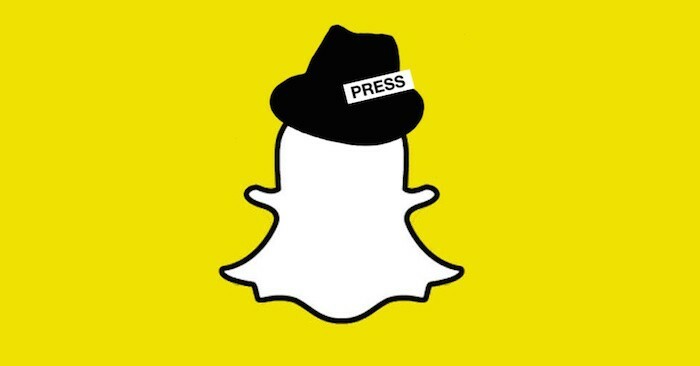 By Joshua Benton @jbenton Jan. 28, 2015, 4:07 p.m.
At launch, Snapchat is working with ten media partners, including CNN, ESPN, and National Geographic. These companies will release a new edition of Discover content every 24 hours, featuring both videos and articles hand picked by their staffers. The goal for these media companies, of course, is to hook a new, younger audience that doesn’t often connect with traditional media. I should confess here I am a 39-year-old man, which you can take as a pretty good indicator of my daily Snapchat usage (zero). But from playing around with Discover yesterday and today, it feels like a significant moment both for mobile news and for efforts to reach younger readers. We write a lot about how messaging and chat apps are a big area of growth for online life (and a big potential area of growth for online news). But that sometimes gets portrayed as something happening mostly outside the U.S. True, we don’t have anything as developed as, say, WeChat’s platform in China, and there may be less experimentation by news organizations on chat platforms here than elsewhere. But that doesn’t mean the shift in our audiences’ attention is any less real. It puts news where the audience already is. Snapchat’s UX remains a confusing mess to me — it feels a little like that tone only teenagers can hear — but there’s no denying a lot of young people spend a tremendous amount of time in the app. If you buy the argument that the share of consumers that regularly, purposefully seeks out news for news’ sake is relatively small — that a large portion of the audience has always encountered news through a mix of adjacencies, social vectors, habits, and accidents — it makes sense that news will have to be integrated into how people are already interacting with the broader universe of information. 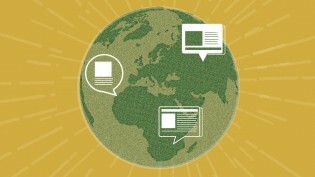 Putting news just a couple taps away from someone’s social life has enormous potential power. The chances of low-interest-in-news people getting some headlines and stories that way seems higher than expecting them to suddenly build a habit of opening your app every morning. This is the same logic for news organizations being on social networks like Twitter and Facebook: Go where the audience is. And unlike those platforms, Snapchat’s Discover lets advertising come along for the ride. It is completely mobile native. The advertising feels just as native to the platform — another snap to swipe through. It retains flexibility in form. Each of those single-frame content teases can link to a bigger piece of content, which you access by swiping up. That content can be short or long, text or video. (The blizzard piece pictured leads to a story, the Auschwitz piece to a 1:46 video, the smart drugs piece to a 3:26 video.) Some are self-contained and don’t link to anything. The Daily Mail’s pieces link to classic Daily Mail-style long, scrolly, photo-laden stories. Yahoo News has Katie Couric voice all the teases. Vice’s section of the app includes multiple 15-minute-plus documentaries, on subject like the California drought and migrants trying to enter Europe. National Geographic has a quiz (though without any real interactivity — the answer’s just revealed by swiping up). I’m calling this connection to a longer piece of content a “link,” but what you won’t see in here is a webview — the sort you’d see clicking a link on Twitter or Facebook and going to a publishers’ website. The content here all lives inside Snapchat. (Facebook’s dream for the web, basically. Or how Flipboard’s publishing partners appear differently in its apps.) There are obvious reasons why that could be bad news for publishers — loss of control, loss of flexibility in revenue models — but there are also obvious ways that a consistent experience across brands and stories could be appealing to users. But Snapchat is 100-percent worth watching for anyone involved in news — particularly those wondering how it’ll transition to phones. Last month, I wrote this piece that asked: “What will be the laid-back, low-effort experience that replaces TV news?” The Internet has been amazing for news junkies — there’s more available for us to seek out than ever before in human history. But it’s a different story for that larger group of low-effort news consumers, the ones who aren’t going to seek it out. The decline of newspapers and television news — both of which packaged civically useful news with a bunch of other stuff — has left them a little adrift, relying on what Facebook’s algorithms serve up or whatever else they can encounter via accidental osmosis. I still don’t know what that laid-back, low-effort news experience is going to look like — but I can promise you it’ll involve content made for our phones, and Snapchat Discover feels like a step in that direction. If you don’t believe me, ask some of Today’s Youth! John Robinson, the former editor of the Greensboro News & Record and now a lecturer at the University of North Carolina, is teaching a class on “Current Issues in Mass Communication” that asks its students to blog regularly about media. A number of them took up yesterday’s Snapchat announcement. While you shouldn’t extrapolate from these few college kids to all their demographic peers, it’s an interesting look at how some of Snapchat’s core users took to the feature. POSTED Jan. 28, 2015, 4:07 p.m.
Benton, Joshua. "Snapchat’s new Discover feature could be a significant moment in the evolution of mobile news." Nieman Journalism Lab. Nieman Foundation for Journalism at Harvard, 28 Jan. 2015. Web. 18 Apr. 2019. Benton, Joshua. "Snapchat’s new Discover feature could be a significant moment in the evolution of mobile news." Nieman Journalism Lab. Last modified January 28, 2015. 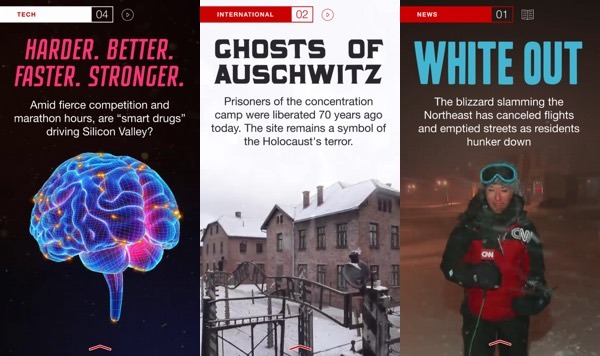 Accessed April 18, 2019. https://www.niemanlab.org/2015/01/snapchats-new-discover-feature-could-be-a-significant-moment-in-the-evolution-of-mobile-news/.